I have a theory that learning any art form helps you improve and mature in other art forms – and this applies to fishing too. If you love trout fishing and want to become more productive, it makes sense to try for Pike. Stop scratching your head! My mentor, Jake Lucas, was a pioneer at small stream spinning for trout, but his fishing interests were by no means limited to that. 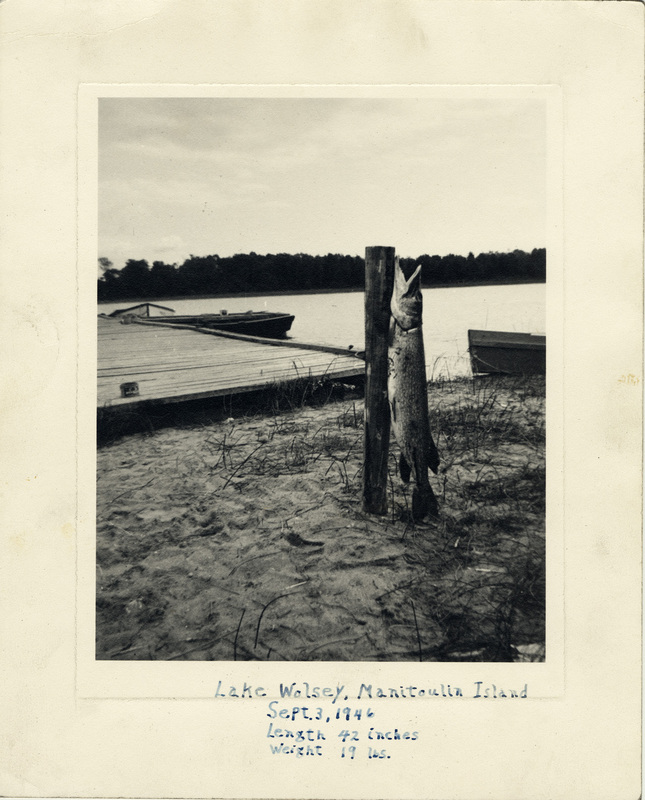 He fished lakes and streams all year for most every species in Michigan, with side trips to other states and Canada. He ice fished, he fly-fished, he bait-fished, he threw lures of every size and make. He made lures. He tied his own flies and developed original patterns. He shot Carp with a bow and arrow. And when he wasn’t fishing he was hunting – and he was very successful at that too. Feral Tweed, my main fishing cohort, bought a kayak last fall with the idea of catching a monster pike. He lives in Lake County and is surrounded by lakes. As an accomplished trout fisherman he knows when to head to a trout stream and prefers to wait for the right conditions. So why not try something new? To be successful he knows he must innovate and that includes learning where to find the big ones, figuring out what lures work where, learning how to land a Pike in a kayak, learning how to fillet a Pike (they are boney) and finally, how to convince me to drag my bass boat up to Lake County so he doesn’t have to land a monster Pike in a kayak. I understand Feral’s appreciation of Pike. It goes back to our childhood and hanging out with Jake Lucas (our Grandpa) in his basement. Jake wasn’t a taxidermist, but he had a couple Pike heads mounted to boards. It was the skeletal remains of the heads mostly with the mouths wide open and razor teeth showing. It was just the stuff to capture a little boy’s imagination. One of those head mounts belongs to the Pike pictured with this story – a nineteen pounder. I don’t know if Feral plans to mount the head of his future monster Pike to a board, but I hope he does. And I hope I’m invited to a Pike fillet dinner. His enthusiasm for Pike is contagious – I may drag my boat up there unannounced.